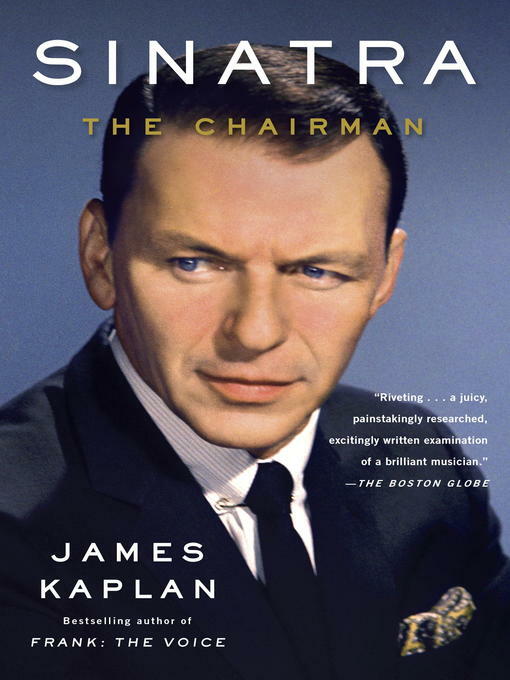 Just in time for the Chairman's centennial, the endlessly absorbing sequel to James Kaplan's bestselling Frank: The Voice—which completes the definitive biography that Frank Sinatra, justly termed the "Entertainer of the Century," deserves and requires. Like Peter Guralnick on Elvis, Kaplan goes behind the legend to give us the man in full, in his many guises and aspects: peerless singer, (sometimes) accomplished actor, business mogul, tireless lover, and associate of the powerful and infamous. In 2010's Frank: The Voice, James Kaplan, in rich, distinctive, compulsively readable prose, told the story of Frank Sinatra's meteoric rise to fame, subsequent failures, and reinvention as a star of live performance and screen. The story of "Ol' Blue Eyes" continues with Sinatra: The Chairman, picking up the day after he claimed his Academy Award in 1954 and had reestablished himself as the top recording artist. Sinatra's life post-Oscar was astonishing in scope and achievement and, occasionally, scandal, including immortal recordings almost too numerous to count, affairs ditto, many memorable films (and more than a few stinkers), Rat Pack hijinks that mesmerized the world with their air of masculine privilege, and an intimate involvement at the intersection of politics and organized crime that continues to shock and astound with its hubris. James Kaplan has orchestrated the wildly disparate aspects of Frank Sinatra's life and character into an American epic—a towering achievement in biography of a stature befitting its subject.